In any sport, motivation can be the difference between winning and underperforming. While some teams seem inspired to push past their limits from day one, others need more guidance. It’s no surprise that many coaches wonder about how to motivate a youth sports team. There are several proven tactics you can apply to help your team excel. Even if all is going well, remember that the most talented teams can bump into setbacks. Taking a motivational approach can help you weather the ups and downs of competition. Most adults can think back and identify at least one individual who helped them be the person they are today. Chances are, that person helped you view yourself through new eyes and envision the future. As a youth sports coach, you have an opportunity to be that kind of positive influence. You can inspire your young athletes to set goals and work towards them. And you can help them to see that each small accomplishment is a stepping stone to long-term success. If you take time to get to know each player, you can help everyone grow during the season. Get to know the whole person–who each team member is outside of practice and games. Find out why each person plays your sport. Some players might find the strategy behind the game fascinating. 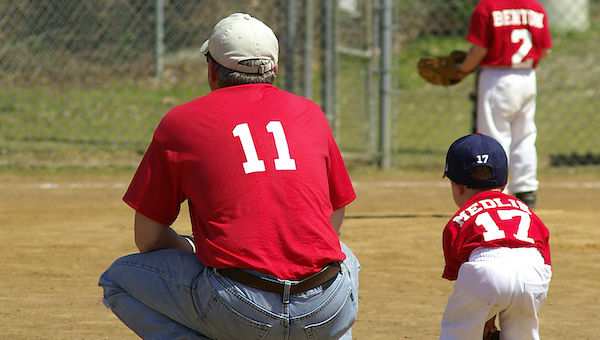 Others may play certain sports as a way to bond with family. Some like the social aspect of being on a team. You can tap into these individual motivations to help build a bond with and set goals for each player. Throughout the season, setting goals for the team and individuals is essential. For the team, that can mean having a winning season or reaching higher competition levels. Or it can mean building camaraderie and exemplifying good sportsmanship. Spend time with each athlete on individual goals as well. For a star athlete, you can set targets like scoring more points, whether that means goals, baskets, or runs. 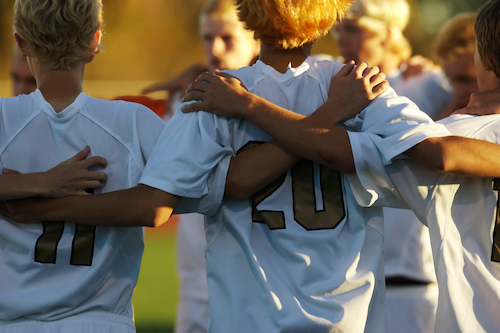 Goals for your team captain may include helping to run practices or giving a pre-game pep talk. Other team members will need different goals–like trying new positions or playing a complete game. Also, you should set the goal that each team member should put forth their best effort in every scenario. Your young athletes may not be able to control everything that happens in a game. But the one thing they always can control is how hard they play. As the National Alliance for Youth Sports notes, recognizing effort, hustle, and work ethic are essential for success. Team and individual goals help keep young athletes motivated and engaged throughout the season. According to the Association for Applied Sports Psychology, you should pay close attention to how you deliver feedback. Always aim to let athletes know when they do something well. And tell them what needs improvement. Be clear and specific. Deliver feedback right away–when possible. However, you should also avoid being too critical or punitive. This doesn’t mean that you should ignore mistakes. Instead, offer instruction or advice on how to make improvements in the future. And recognize effort and growth–for every athlete, at every level. When your team members know you respect their work, they’ll feel motivated to keep putting forth a good effort. Remember to tailor feedback to the athlete’s current playing level. You may need to correct a skilled player for a dropped pass. In a similar scenario, you may choose to praise a new player for being in the right place and almost making the play. You should avoid making comparisons when giving feedback. Instead of praising specific athletes, focus on technique. With these feedback approaches, you’ll help your players gain confidence. They won’t feel afraid of making mistakes. And their motivation will rise. Your young players will always be looking to you for guidance. That goes beyond technical advice on how to play the sport. If you want them to feel motivated, you need to show them that you are motivated too. Aim to arrive early at practices. Let them know what skills they’ll focus on at each practice–and why. Give them positive challenges and set small goals every time they practice together. Share praise and encouragement often. During games, stay composed and focused. You’ll need to deliver instructions during play, but don’t overdo it. Let your athletes get comfortable with making decisions–even if that means making mistakes. And don’t shout out corrections over every misstep or missed opportunity. Often, quiet one-on-one counseling is a far better approach. You don’t want to be a distraction or a source of negative energy during play. That can stall any team’s momentum. Instead, focus on praise and enthusiasm. Show your players that you’re behind them 100% no matter the score or outcome. What makes a team excel? While athletic talent is always a factor, motivation can propel any team to reach new heights. As a coach, you need to know how to motivate a youth sports team and unlock each athlete’s potential. The most successful coaches don’t view players as a collection of stats and skills. Instead, they see each young athlete as a person. Good coaches take the time to understand what inspires each team member. And they use that insight to shape individual goals. And coaches should always take care to provide individualized feedback. They should avoid harsh negativity and unhealthy comparisons–two sure-fire motivation killers. Still, smart coaches know how to align individual motivations with team goals. Most people find inspiration in being part of something bigger than themselves. And we all appreciate feeling valued by others. For many young people, being part of a sports team is their first experience working with a group towards a common objective . Keep this truth in mind when coaching youth sports. Help each team member see how their individual efforts tie into the big picture. Praise hard work, celebrate successes, and stay positive. Your young athletes will watch you and model these good behaviors–in the next practice, next game, and throughout their lives. Jersey Watch helps busy volunteers build a website, schedule events, register players, and collect payments. Need help organizing your program for next season? Or interested in setting up a new website for your teams? Send us a message at help@jerseywatch.com or try it out at www.jerseywatch.com.